Lets get this Central European itinerary started shall we? You have one month holiday and you want to spend this time in Europe. I know just how you are feeling. Excited, daunted and maybe a little stressed at how many amazing places there are and how you will fit seeing them all in to one month? But it doesn’t have to be because I will show you the best places to visit and advise you on some of the ‘must’ things to do and see, particularly as this is your first time in Europe. Plus, I give you a rough idea of how many days you will need to make the most of your time in each location. As Europe is such a large space, i suggest visiting the Central European countries on your first visit. Before I begin our suggested Central Europe itinerary I suggest you consider the best time to travel to Europe. Your first challenge of organisating your European vacation is working out when is the best time for you to visit. You may be governed by your employer as to when you must take your holiday but if not you have some things to consider. Most first-timers to Europe are likely to choose to travel during the warmer summer months. This is when Europe is not only at its warmest but also its busiest and most expensive. If you don’t mind lots of crowds at popular tourist attractions and also paying a little more for your accommodation, transport and other services then summer time will be great for you to travel around Europe. Winter time though can be magical with lots of snow capped mountains, Christmas markets and warm drinks inside. If your aim is to do some skiing or snowboard then visiting in winter is a must. Crowds however, over the winter months will be less in major tourist areas and some attractions may close during this time. If there is somewhere specific you want to visit I would suggest you make sure it will be open during the winter. Spring and Autumn are also great times to visit Europe. The weather is milder and potentially more comfortable for travel. Crowds will only be beginning or slowing down and you might save a few dollars on accommodation, transport and other services. LWPT Tip: If you have chosen to visit Europe during the summer months, I advise you book everything in advance. From accommodation to popular attractions booking in advance will ensure you have somewhere to stay and help you skip-the-line tickets. Believe me, queus to enter some tourist sights can be very long. LWPT Tip: With the exception of the UK, most of the Central European countries in this itinerary belong to the Schengen Zone. This means, under there is a Schengen Visa allowing you to travel freely between the countries in this zone. But find out what visas are required for the countries you plan to visit. Europe is well serviced by plenty of different transport options so the continent is well linked and a rather easy place to get around. Here are the general travel options for getting around Europe. You can choose one or link different modes of transport together. When you travel Europe by car you have the freedom to go where you want, when you want. You are not limited by any schedules of public transport. Just remember to drive on the right side of the road and read up on the road rules of different countries. For the best car rental prices check out AutoEuropeCar. Travelling Europe by train is one of the most popular ways to travel around Europe. It can be one of the most relaxing ways because you sit back and watch the scenery pass by while you travel in high-speed trains. There are however some things to take in to account with train travel. It can be more expensive than other forms of travel and often you pay extra for seat reservations. And if travelling overnight you may want to consider a sleeper. Some travellers like to travel overnight and arrive in a new destination the next day because this helps to save accommodation costs. For the best train travel prices on point-to-point, inter-city and passes check out RailEurope. Flying is the fastest way to get you from A to B, however, you miss out on seeing what is between A and B. Nevertheless, if you only want to visit major European cities during your one month itinerary of Europe then flying is a great option. There are many airlines servicing Europe as well as a number of budget carriers like Ryanair and Easyjet. Before you book ensure you understand whether you can make seat selection and how much luggage you can take. If you can only take carry on luggage what will you do with all your luggage? Check out Skyscanner for some great airfare comparisons. If the previous transport options become too tedious to organise consider an organised tour of Europe. There are a number of companies that offer 3-4 week tours. Check out Intrepid Travel, Top Deck, Trafalgar Tours and Contiki to name a few. Tours will include your transport, usually by bus, accommodation and most meals. A very economical way to spend your 1 month in Europe. There are many styles of accommodation in Europe to suit your budget and needs. Accommodation comes in all sorts of sizes and shapes including hostels, hotels, B&Bs, camping sites, boats, villas, haciendas, chateaus, ski lodges, apartments and even castles. Just remember to book early particularly during the summer months as many places book out well in advance. Many travellers stay at Hostels, check out HostelWorld. Other affordable accommodation can be found through booking sites such as HotelsCombined or you might consider Airbnbs. LWPT Tip: Before I begin my suggested itinerary I just want to remind you to purchase travel insurance. Travel insurance is an extra cost on any holiday but it is well worth it. Things can happen when you least expect them. You don’t want to be stuck with thousands of dollars in medical bills or without any luggage. I recommend World Nomads. Click on the link and get a quote. 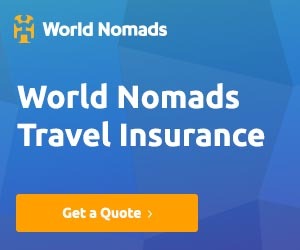 If you don’t buy it through World Nomads, please make sure you purchase travel insurance from somewhere else. I’ve assembled the following itinerary that will take you to some major cities in Central Europe. I have taken the path ourselves and can highly recommend it. Although I have designed it to show you the best of Central Europe use the itinerary in a way that best suits you by adding or deleting cities/countries to your liking. After all, it is your holiday to Central Europe. London is a great place to start your first trip to Europe. If you find though that you need to reduce days to fit everything in to your month holiday you could skip London on this trip. Maybe include London in another visit where you concentrate on the UK only. You will definitely want to see all the sights of London therefore include the landmarks of Westminster Abbey, Tower Bridge, Tower of London, Big Ben and the Palace of Westminster. Royalists will head to Buckingham Palace to see the Changing of the Guard and also Kensington Palace. Shop at Harrods and the high street stores along Oxford Street. If you love Harry Potter then you are in for a treat at Platform 9 3/4 at Kings Cross Station. An option to see a lot of these sights is to go on a Hop-on Hop-off BigBus Tour. Getting to London: London is a hub and is serviced by airports, bus, tubes and train. Paris, the city of love is your first stop in France. Take the lift to the top of the Eiffel Tower to get a bird’s eye view of Paris. Once back on the ground visit notable landmarks of Notre Dame and Sacré-Cœur before meandering down the Champs-Élysées popping in to world-class stores like Chanel on your way to the Arc de Triumph. If looking for a gastronomic delight head to the Right Bank or enjoy a beer in a bar in Montmartre, or take a cruise along the River Seine. Take the Hop-on Hop-Off BigBus around Paris to get your bearings. A visit to the Louvre Museum to see the Mona Lisa is a must. If you can, squeeze in a day visit to the Palace of Versailles and walk around the magnificent gardens. Or spend the day on the rides at Disneyland Paris. Getting to Paris: London and Paris are connected by the Eurostar train taking 2 hours 15 minutes. Or by bus and ferry taking about 6 hours or by plane taking 1 hour 15 minuites. From Paris head to the French Rivieria. Staying in Nice gives you a chance to experience the area and maybe rub shoulders with the rich and famous in Cannes, Saint Tropez or Monte Carlo. Maybe take a dip at one of the public or private beaches. Venture up to the ‘pink’ Castle with its park providing superb views over the area. You may like to take your chance and try to win some money at one of the casinos. Getting to Nice: Nice is an easy 1 hour flight from Paris, a 6 hour train ride or a 10 hour bus ride. Begin your time in Italy in the northern city of Milan. It is well known for its fashion so you might do plenty of shopping here. The city is also dominated by the Gothic Duomo di Milano cathedral and the Santa Maria Delle Grazie, a church where the painting The Last Supper by the famous painter Leonardo da Vinci can be found. Getting to Milan: From the French Riviera Milan is a quick 45 minute flight, 5 hours on the train or 8 hours on the bus. From Milan head to Florence, a city dominated by the Duomo. Experience rooftop views from the Campanile then spend time in the medieval palace of Palazzo Vecchio or Piazza della Signoria admiring the statues including a replica of Michelangelo’s David. Or see the real deal at the Accademia Gallery. Avoid the ques and purchase your ticket beforehand here. From Florence you could take the train and visit Pisa and see the Leaning Tower. The train trip is only about 1 hour so you could easily go for the day. Getting to Florence from Milan: There are high speed trains connecting Milan and Florence. Taking around 1 hour and 40 minutes. Tthe bus will be around 3 hours. You cannot visit Italy and not visit the ‘Eternal City’ of Rome. There is so much to see and do with many historical and ancient sites and landmarks. You cannot miss the Colosseum where the gladiators fought or the Roman Forum. There are plenty more ruins to visit including the Pantheon. And don’t forget to visit the Spanish Steps and throw a coin in the Trevi Fountain. There are the Catacombs where the Christians were buried. Visit the Vatican City, a city within a city. You may be lucky to see the Pope. Visit the Sistine Chapel to view the ceiling painted by Michaelangelo in 1503. Take the BigBus Hop-on Hop-off tour of Rome. Getting to Rome from Florence: There are frequent train services from Florence to Rome. It takes around 1 hour 30 minutes with the bus taking around 3 hours. Still in Italy, head to the city of Venice. Meander along the city’s streets and over the canal bridges. In particular see the Grand Canal from the Ponte Rialto. Spend time in a glass making shop and possibly purchase some Venetian Glass. Visit St Mark’s Square, and experience the extravagance of Saint Mark’s Basilica and perhaps climb Saint Mark’s Campanile for some great views of the city. But you can’t come to Venice and not have a gondola ride or enjoy a gelato. Getting to Venice from Rome: Venice is connected by high-speed trains from Rome, taking just under 4 hours. The bus will take about twice that. It’s time to leave Italy and head in to Austria and the capital of Vienna. This is a very grand and historic city with lots of architecture to admire especially along Stephansplatz. It’s also home to the world-famous Spanish dancing horses. There are a number of palaces to see including the Belvedere and Schonbrunn. It is on the Danube River and was home to a number of residents including Mozard, Beethoven and Signund Freud. You might want to take the Vienna hop-on hop-off bus. Getting to Vienna from Venice: Take the IntercCity train from Venice to Vienna taking about 7 hours or one of the regular bus services taking about 10 hours. Still in Austria head to the musical city of Salzburg. Birthplace of Wolfgang Amadeus Mozart, you can walk down the quaint street of Getreidegasse and visit the house where he was born. Enjoy a chocolate Mozart ball from a chocolate shop. If you love the movie ’The Sound of Music’ you will love visiting the many places you see in the movie. Getting to Salzburg from Vienna: Vienna to Salzburg by train takes about 2 and a half hours. So a morning train will see you exploring the city by the afternoon. The Principality of Liechtenstein is a mere 25km long principality and is wedged between Austria and Switzerland. It is known for its beautiful alpine landscapes, villages and medieval castles. You may wish to stop in the capital of Vaduz and walk around the town. Or just travel through and say you have been there. On leaving Leichtenstein head into Switzerland known for its magnificent Alps where you can partake in great skiing and snowboarding during the winter months or mountain bike riding during the summer months. Stay in the capital Bern, or take a funicular up in to the Alps which dominate the country. Getting to Switzerland from Austria: There are trains from Leichtinstein or from Salzburg. From Salzburg it is only a 4 hour train ride or a 7 hour bus ride. Next head in to Germany and Munich, home of the Glockenspeil. You may want to visit the Olympic Complex but definitely worth a visit is Dachau Concentration Camp on the outskirts of the city. If you visiting during September/October you may wish to experience Oktoberfest. If not, still enjoy some of the locally brewed beers. Maybe take a day tour to the magical Neuschwanstein Castle. Getting to Munich from Switzerland: Munich is easily reached by air, 1 hour 10 minutes, by train, 4.5 hours or by bus, 6-7 hours. After Munich, stay in Germany and head to the cool capital city of Berlin. Start in the historic Alexanderplatz then visit the Brandenburg Gate, the Reichstag Building, Checkpoint Charlie and the Berlin Wall. You can see the graffiti at the East Side Gallery. Getting to Berlin from Munich: Berlin is a quick 1 hour and 10 minute plane hop from Munich. Or about 5 hours in the train or 7 hours in the bus. Leaving Germany head to The Netherlands and the capital Amsterdam. Wander along the many canals or hire a bike and ride around visiting cheese and clog factories and the windmills. If you are a history buff visit the renowned Rijksmuseum and the Anne Frank House. Other landmarks to visit include the Van Gogh Museum, Royal Palace of Amsterdam and the Red Light District. You may wish to spend some time in one of Amsterdam’s coffee shops where you can legally buy cannabis. Getting to Amsterdam from Berlin: Quite a long train ride of about 6 hours and about 10 hours by bus. Or a quick flight of 1 hour and 15 minutes. Last stop on this European adventure is Brussels, the capital of Belgium. Brussels is headquarters to the European Union but if that doesn’t impress you you may wish to spend your time in one of the many bars or coffee shops enjoying Belgian beer, coffee and chocolate. Getting to Brussels from Amsterdam: A quick 2 hour train trip or about 4 hours by bus. From Brussels you can take the Eurostar train back to London. Start a Wishlist of the places you want to visit. Decide how you will travel – train, bus or plane. Will you travel during the day or overnight. Work out what type of accommodation you might choose to stay in – hostels or hotels or overnight in your transport. Write down your plan, ie. Day 1 – arrive London, Day 2 – explore London, Day 3 – travel to Paris, find acc and explore Paris at night – Day 4 – see sights of Paris – Day 5 – go to the Palace of Versailles Day 6 – travel to Nice, etc. Work out how much all this might cost. Once you have done these things you can then refine your trip, book it and enjoy it. I subscribed 3 times but didn’t receive any confirmation so thought I’d email you. I came across your site as I typed travel – read your blog. I too lost count on number of times been to Hawaii and love to work while visit there. sometimes I stay a month. Mostly in Honolulu but been to other islands too. I am in NYC. What sort of programs are there for Hawaii? I’m glad you love Hawaii. It is one of my favourite places. I love the vibrant tourist areas in and around Waikiki as well as going to remote areas.